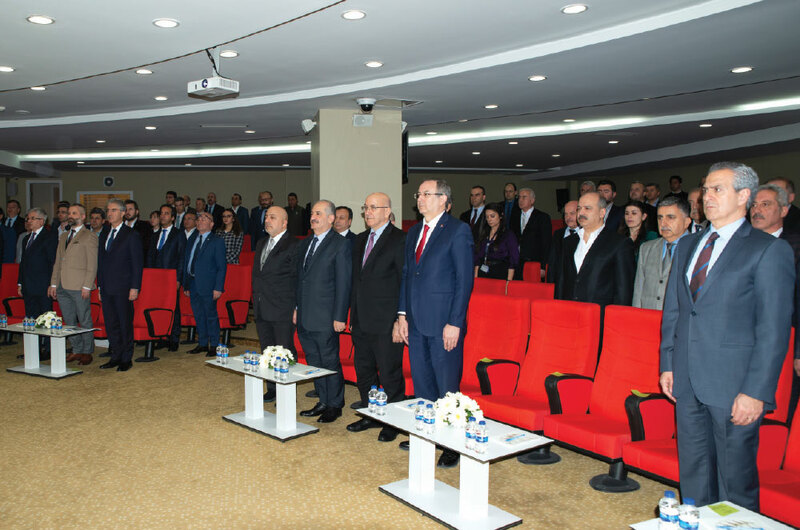 The Defense & Aerospace Industry Exporters’ Association’s (SSI) Elective Regular General Assembly meeting was held at the Association’s headquarters in Ankara. At the Regular General Assembly, the existing management was reelected for a four-year period and the awards for the export leaders of the defense industry of 2017 were delivered at a ceremony held prior the General Assembly. TAI was at the top of the list of the companies with the most exports in 2017, and the award to the company conducting export to most countries was granted to the Bahtiyar Av Malzemeleri. BMC received the award for the company increasing its exports most during 2012 - 2017. Before the opening remarks of the Elective General Assembly Meeting, SSI Defense Industry Sector Director Engin Yalçın made a presentation on the performance of Defense and Aerospace in 2017 according to the data provided by TIM (Turkish Exporters’ Assembly). In light of the data shared by Engin Yalçın with the participants, it was underlined that the total exports of all of Turkey’s industries reached $156.8 billion with a $14.7 billion increase compared to the previous year. Based on all industries, Turkey’s exports were $142 billion in 2016. Amongst Turkey’s export items, Industrial exports received the largest portion with $121 billion, agricultural revenues reached $21.2 billion, Mining reached $4.7 billion and export exempted from the records of the exporters’ associations was $9.5 billion. In 2017, European countries remained at the top of the top ten countries with which Turkey conducts the most exports and in 2017, $14.9 billion in exports went to Germany, $10.3 billion to the UK, $8.3 billion to Italy, $8.2 billion to United States of America, $8.1 billion to Iraq, $6.6 billion to France, $6.3 billion to Spain, $3.8 billion to Netherlands, $3.4 billion to Israel and $3.2 billion in exports to the United Arab Emirates were accomplished. According to Turkey’s export data of 2017 based on the industries, the automotive industry took part at the top of the list with $28.5 billion with an increase of 19%, ready to wear and the garment industry was ranked number two on the list with $17 billion where chemicals and goods reached the third rank with $16 billion. The steel industry remained at the fourth rank with $11.5 billion, electrical and electronic goods and services were at the fifth rank of the list with $10.5 billion, textiles and raw materials remained at the sixth rank with $8.1 billion where iron and nonferrous materials took the seventh rank with $6.8 billion, with $6.4 billion in export revenue grains, legumes, oil seeds and products remained at the eighth rank on the list, with $6.1 billion in machinery and parts were at the ninth rank, and mining products were the tenth with $4.7 billion in export revenues. 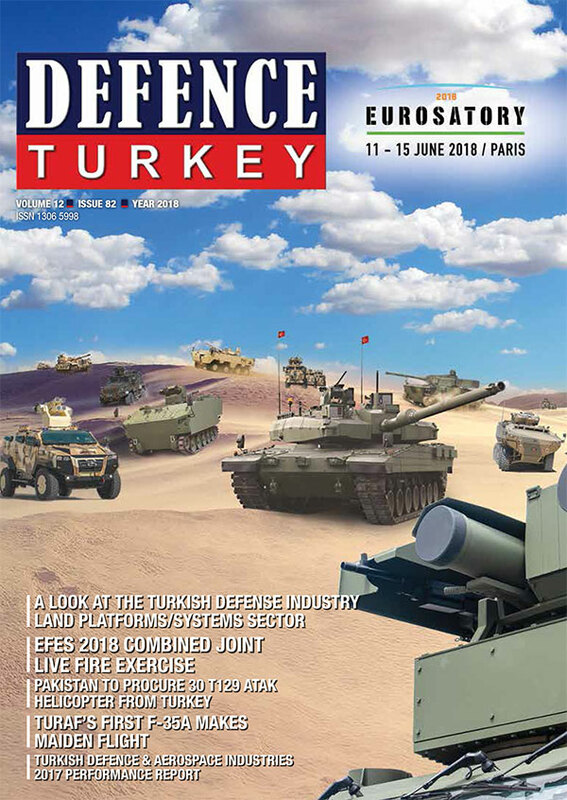 With a 3.7% increase on an industrial basis compared to 2016, the Turkish Defense & Aerospace Industry’s total exports reached $1.739 billion in 2017 and took the nineteenth rank amongst exporting industries. In 2016 this figure was realized as $1.677 billion. In light of the data shared in the presentation, an upward change of 38% was observed in the Defense and Aerospace Industry export data between 2012 and 2017, the export revenue except for services was $1.26 billion in 2012, in 2013 the figure was $1.38 billion, in 2014 it was $1.647 billion, in 2015 it reached $1.654 billion, in 2016 the figure increased to $1.677 billion and eventually in 2017 the export revenue was recorded as $1.739 billion. According to this data, approximately 20% growth was seized especially in 2014 in the export revenues of Defense and Aerospace Industries in Turkey, yet the country failed to maintain this growth in the following years and it achieved an average of 2% growth in the last three years. According to the data provided by the Turkish Exporters’ Assembly (TİM), Turkey’s average per kilogram in the production of products with added value reached $1.3 where in the Defense Industry this ratio became $39.7 per kilogram. In 2017, among the top ten products within the breakdown of Defense and Aerospace Industry exports, components and parts of Aircrafts and Helicopters were at the top of the list with $524 million, with $277 million, components and parts of turbojets and turbo propellers for other vehicles remained at the second rank, with $192 million in export revenue turbojets for civil air vehicles were at the third rank, tanks and other armored combat vehicles remained at the fourth rank on the list with $112 million, at the fifth rank we see the smoothbore single-barrel shotguns with $78 million of export revenue, hunting rifles remained at the sixth rank of the list with $42 million, bullets and other ammunition of warfare weapons took the seventh rank with $36 million, with $35 million civil aviation passenger aircrafts remained at the eighth rank, other astronomy devices took the ninth rank with $35 million and other products covered $373 million of exports in the list. In light of these data, the turbojets for civil air vehicles displayed an increase of 200% compared to the previous year where the export of the components and parts of tanks and other armored combat vehicles decreased sharply by 59% from $103 million in 2016. NAFTA countries remained at the top of the list in Defense and Aerospace Industry exports accomplished on the basis of country groups between 2017 January – 2017 December and a total sale of $709 million was made to NAFTA countries in 2017. With $499 million, European Union countries followed the NAFTA countries where other Asian countries remained on the third rank with $142 million, Middle East countries became fourth at the list with $131 million, CIS was at the fifth rank with $92 million, export to the countries of the Far East at the sixth row reached $71 million and African countries ranked seventh with $64 million. Where Turkey’s export to the NAFTA countries was $601 million in 2016, this figure reached $709 million with an increase of 17.9% and an increase of 25% was achieved compared to the previous year in the sales made to the European Union countries. In 2017 the greatest amount of increase was in the export conducted to other Asian countries. The sales realized as $74 million in 2016 increased by 91.3% in 2017 and reached $142 million. A sharp decrease in the sales conducted to the Middle East countries was observed, the $244 million worth sales in 2016 decreased by 46.2% in 2017 and became $131 million. Other regions where a decrease was observed compared to last year were Far East countries with 41%, CIS with 36.2% and African countries with 19.9%. As per these data, a loss of $210 million was observed in Turkey’s sales to Middle East, CIS, Far East and African countries in 2017 compared to the previous year. On the other hand, within this period, an increase of $278 million was achieved in the sales conducted to NAFTA, European Union and other Asian countries compared to the previous year. Stating that the Defense and Aerospace Industry Exporters’ Association increased its export volume by 38 percent since its establishment in 2012, Latif Aral Aliş underlined that the total amount of exports of the industry increased to $1,739 billion in 2017. Following the opening remarks, the awards to the companies achieving the most exports in 2017 in defense industry were delivered. In the ceremony where the companies conducting the most export in 2017 were awarded, TAI was deemed worthy of the championship award among the members of the SSI and it was followed by TEI, Aselsan, Alp Havacılık and RAM Dış Ticaret A.Ş. Furthermore, in the ceremony, BMC received the award by increasing its export volume most during 2012-2017. The Company Bahtiyar Av Malzemeleri received an award by achieving exports to the highest number of countries (84 countries) in 2017. Following the award ceremony, the general assembly held elections that would determine the new management. In the election based on a single list prepared by Latif Aral Aliş, with a single change in the executive board of the previous term, a selection was made with the votes of all members attending the general assembly and assignments were made for four years. Yurttaş İnşaat that was assigned last year to the management would be representing the Assembly as a Delegate of TİM and Havelsan was assigned to the management of the Assembly instead. 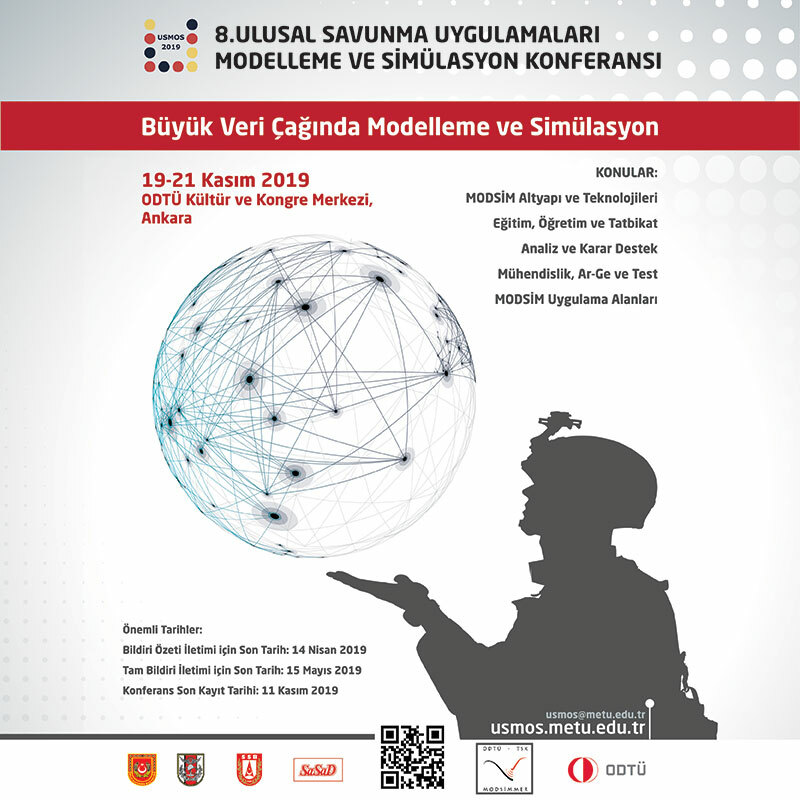 The New Executive Board of the SSI consists of the following companies; Sarsılmaz (President), TAI, Aselsan, Roketsan, Havelsan, MKEK, FNSS, Alp Aviation, Bahtiyar Av Malzemeleri, Yonca-Onuk, S.S Huğlu Ev Tüfekleri.